Marc Silverstein is Founder and Executive Director of Tender Touch for All, a nonprofit 501(c)(3) service offering therapeutic massage therapy to seniors and veterans. As a new advocate for senior health, Silverstein utilizes professional health care and community resources that enhance the physical, mental and emotional well-being of senior citizens and veterans. He strives to promote greater awareness of elder care issues such as the overlooked benefits of simple human touch for isolated seniors. Silverstein’s motivation comes not from a background in health care, rather from being inspired by his mother Edith. During her recent years of extended stays at health care facilities he discovered therapeutic massage, although proven to be extremely beneficial to seniors, is often a neglected service. In 2011, he decided to expand Tender Touch’s reach to include providing service to people with disabilities, chronic conditions/illnesses and their caregivers. 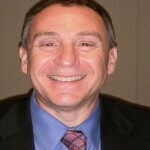 Prior to founding TTFA, Silverstein was a leading marketing executive and consultant in consumer goods. Silverstein’s career includes having served in management positions at Friendship Dairies, Inc., H&R Block and Paramount Marketing, as well as an Adjunct Professor of Marketing at the Fashion Institute of Technology in NYC. At Friendship, he was part of the team that grew the company from $55MM in sales to $100MM during his nine year tenure. 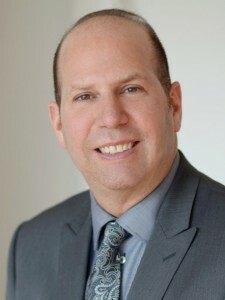 Silverstein grew up in Brooklyn, NY, and received an MBA in Marketing Management from the Zicklin School of Business at Baruch College, and received his Bachelor of Science from SUNY Albany. A fan of playing and coaching youth sports, he, his wife and their two children reside in Port Washington, New York. Bonnie Nogin, C.T.R.S., A.P.R.P. holds a degree in Therapeutic Recreation and has been in health care for over 20 years. She is the owner of Recreation Resources, which provides recreational therapy staff, consultations and coordinates Community Outreach Initiatives in Brooklyn, Queens, Bronx and Long Island, for skilled nursing, sub-acute rehabilitation, assisted living and long term care facilities. As a clinician, she consults to help facilities maintain regulatory compliance with the Department of Health, receive Innovative Practice Awards and improve Quality of Life for populations served. Bonnie had dedicated her work and passions to helping individuals age with dignity, confront illness with bravery and live life with passion. She has coordinated and chaired events such as art shows, fitness competitions, culinary events, political debates, health fairs, literary readings, fashion shows, educational seminars, and concerts. Many functions were charitable functions benefiting diverse communities in the New York area. Through community outreach efforts, Bonnie has raised funds for numerous charitable organizations in the New York Metropolitan area. She has also donated her time to community- active committees including The Glen Cove Chamber of Commerce, The Glen Cove Interagency Council, Glen Cove Hospital POPS Committee, The Senior Umbrella Network of Brooklyn, Senior Umbrella Network of Nassau, New York State Therapeutic Recreation Society, National Certification Council for Activity Professionals, National Council of Jewish Women and Hadassah. Her focus and extra efforts have always been for the betterment of those served within these charitable organizations. Mrs. Nogin and her husband live in Nassau County with their three children. Sandy Nelson has been a New York pharmacist and direct patient care entrepreneur serving underserved communities for 25 years. Nelson joined as Board Director at Tender Touch For All in June 2010, because he believes the power of therapeutic massage is a critical adjunct to traditional therapies for seniors, veterans, and those experiencing physical limitations. As pharmacy care has evolved with increase in life spans, chronic disease; and complexity of medications, Sandy Nelson has focused on the challenges of improving patients’ access to health care, controlling its cost, and assuring its quality. Nelson is currently the Director of Customer Services of Shore Pharmaceuticals, an advisor and supplier for skilled nursing and assisted living facilities in New York. Formerly the Director of Pharmacy at Glendale, NY, human service agency, PSCH, Nelson led medication therapies for adults with developmental and mental health disabilities. In 1988, he established a new neighborhood drug store to provide service for those residents and day patients. Nelson also owned and operated his own pharmacy in NYC, Mayfield Chemist, for seventeen years. Born and raised in Queens, NY, Sandy Nelson graduated with honors from Northeastern University with a B.S. in Pharmacy, and received his New York State license in 1985. He maintains an active lifestyle of biking and hiking with his wife and their two teenage children, in Port Washington, NY. Chad Hoffman-Fragale, is the Assistant Vice President of Human Resources at Winthrop-University Hospital in Mineola, NY. Chad is a seasoned human resources professional who has worked in human resources in the healthcare field for over 12 years, including at St. Vincent Catholic Medical Centers in Manhattan and Auburn Memorial Hospital in Auburn, NY. Chad specialties include employee and labor relations, compensation, benefits, recruitment, organizational development, and training. 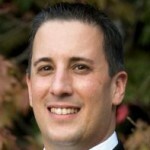 Mr. Hoffman-Fragale is a certified Senior Professional in Human Resources (SPHR). He earned his Bachelor of Science degree in Education from The State University of New York, Oswego, and a Masters of Business Administration (MBA) from Excelsior College in Albany, NY. Chad joined Tender Touch in the beginning of 2013. Although a native of Wantagh, NY, Chad resides with his spouse in Manhattan. Barbara Newmark is a veterinary practice manager for an animal hospital in Queens. She has served on the board of trustees at Temple Judea and is currently on the executive board of Women of Reformed Judiasm. As executive member she is co president of the ways and means committee. She oversees and is in charge of several fundraising events. Barbara is also an ombudsperson for the Dept of Family and Children’s Services. As ombudsperson, she advocates for nursing home residents and oversees resident conflicts. Her current placement is Central Island Nursing Home in Plainview, N.Y. Barbara resides in Port Washington. Arthur Wasserspring has been a CPA since 1965, working throughout his career after being employed for three years for a Public Accounting firm as Chief Financial Officer for several companies in various industries for both publicly and privately owned companies in the tri-state area. He has managed and been responsible for various departments of his employers including, but not limited to, real estate, insurance, taxes, SEC, budgeting, treasury and accounting. While employed at these employers, he has always held financial positions in various charitable and religious institutions and at the same time started a tax and accounting practice as well as a bookkeeping practice that helps seniors and busy professionals manage their everyday financial affairs. Currently he’s employed as an Independent Chief Financial Officer and Financial Consultant for a manufacturing company on Long Island. Arthur joined Tender Touch for All in the beginning of 2012. He lives with his wife Fran in Plainview. They have two married adult daughters and six grandchildren. Jessie Raspbury is a LMT (Licensed Massage Therapist) based in Maine. During her previous career as an activities director in an assisted living facility, Jessie was inspired to become a massage therapist after noticing a lack of holistic care for the elderly community. It was there that she realized how important touch was for her residents and what a difference even just a couple minutes of light massage would make in their daily lives. She received her massage therapy license in San Diego, California, from Pacific College of Oriental Medicine in 2015, and plans to dedicate her career to “undertouched” populations. 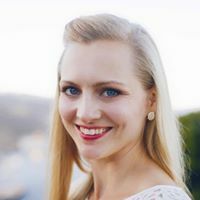 She works hard to silence the assumption that holistic health practices are only for a specific demographic, and believes that self-care is not a luxury, it is a necessity.